All new Icom, Yaesu, Alinco and Kenwood equipment sold by us (Asia Radio Communications Systems) is warranted against defects in material or workmanship for a period of three* years from the original purchase date. This warranty is limited to repairing or replacing only the defective part/s and is voided if the equipment has been modified, misused, substituted, damaged or operated outside the specified operating parameters, conditions and duty cycle, etc. Customer-caused damage is not covered by warranty, of course. Warranties are not transferable and we don't offer replacement warranties. Please do NOT write <fragile> on anything you send to us as doing so greatly increases the risk of damage. Please try to "double-box" all items sent to us. NOTE: Warranty repairs are completed by us at no cost to our customers - of course! Simply include a copy of our receipt and a note describing the fault condition and your contact details when sending the product to us. 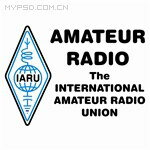 We retain two of best amateur radio technicians. We have excellent service information, including service information which is dealer-restricted. Our worldwide suppliers support us to the absolute maximum. Proudly supporting amateur radio by providing the lowest prices, stocking the widest range of products and introducing the longest warranties - since 1976. Please choose products carefully as we do not refund if you incorrectly choose. We do not sell products on a trial, test, evaluation or approval basis. Approved product returns will incur a restocking fee of 20% plus other relevant costs. We import specially ordered products only after full payment is received. 1radio ,1 charger with adaptor; 1 antenna; 1 battery; 1 belt clip; 1 user's manual. 1. Please contact us at first time for bulk order. More discount waits for you. 2. Please inform us beforehand if you want to reduce the invoice value shows to your customs. Our fabrication teams create custom and standard solutions for any application and environment. When your circuit boards need repairing, bring them to us for repairs at a reasonable price. We are ready to serve you online, by phone, or at one of our regional locations.